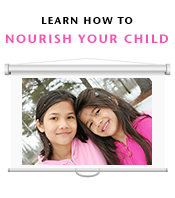 Another in our Nourished Families series! “Everything has a purpose unto Heaven”… yep that pretty much sums up how I came about the real food way of life. Everyone has their own story, and this is mine. I truly believe the circumstances that led to it were God driven and, had some of the uncomfortable things not happened, I would not be where I am today. Deep? Probably, but I see the circumstances we are given as opportunities to grow and learn. This was definitely a class in humility and victory at the same time. My journey is one that has opened my eyes to a deep passion given to me to see the next generation grow up healthier, more aware, and educated about what they put in their bodies. I hope I can relate to you. It has been a desire of my heart to write about what I have learned for a few years now – the timing couldn’t be more perfect. I am humbled and honored to have been asked to join this amazing community of Mamas I hope I can show you that this lifestyle is do-able … and necessary. You are worth it. Your kids are worth it. When I was in my mid 20’s I started have digestion issues…oh yes I’m going there! I went to my doctor after struggling for months, and she “couldn’t see what the problem would be” (although did no blood testing or, well, anything …), prescribed me a laxative, and stated I was just stressed and maybe needed some “help” with my digestive system. I drove home thinking…what the heck?! I’m only 25! I should not need this! I really felt like I was getting a band-aide to cover up a broken bone. It didn’t seem like the answer. A friend of mine told me about an office of doctors that followed a more holistic approach to medicine and thought maybe I could try it. This office had always been described as very “taboo” in my “traditional medicine” experiences. It was foreign territory for me … but … I was desperate. I was uncomfortable. I had no energy. I felt sick all the time. I was sick all the time. My sinuses were filled with infections all the time. I was miserable. So I went. To make a long story as short as I can, this doctor actually listened to me for an hour. Blood testing came back positive for severe Candida outbreak in my intestines causing a “leaky gut”. This was making me sensitive to numerous foods. Come to find out, this is a very common condition in this processed food, stress laden country we live in. Within 3 months of getting processed food out and changing certain foods in my diet, healing my gut, and getting my thyroid balanced, I felt like a new person. It launched me into more research into processed gluten and soy specifically and how it affects our bodies. It made me rethink the processed “health food” I had been previously eating, that I thought was good for me. This was what I call phase 1. Nothing could have prepared me better for the next phase in my health journey…I had opened my mind up. Jump ahead to the year my first daughter was born. I was determined to breastfeed. My delivery included severe hemorrhage, and despite every effort on my part, and doing everything in the book a lactation lady told me, I just didn’t have enough milk to feed my poor starving girl. By 6 weeks there was nothing left. I. Was. Devastated. Devastated isn’t the word. Crushed? Yes, crushed that I was insufficient to feed my baby. I cried happy tears and sad tears the night she gobbled up 4 ounces of … ugh … formula. I was happy because she was so hungry and she slept so good that night. I was sad because I trembled at the ingredient list on the box of formula. There had to be a better brand?! This can’t be it?! So my search began for a better, healthier, more natural way to feed her. She deserved it. It was worth it. Within a week I read article after article on the Weston A. Price Foundation website, and saturated myself with new ideas on fats and their importance, and how to feed babies solids – the ideas were completely contrary to what I was being told to do. I was shocked. I was overwhelmed but excited. It just made sense to me. I was humbled. My entire college and career field focused on health and well-being and I didn’t have a clue. I still didn’t have a way to feed my baby before solids though. I kept searching. A month or two later I went to a nutrition course for kids that focused on Weston Price principles. I was encouraged again. I spoke with the kindest nutritionist after the course. I explained to her about my situation with feeding. She gently asked if I had tried homemade formula. I had seen the articles on the WAPF site, but it looked so “homesteady” and so time consuming, I skimmed over it thinking I would never be able to do it. I switched her over to goat milk and made her formula since I didn’t know where to access fresh cow’s milk. It was not difficult. Over the next few months I was able to uncover the truth about fresh, raw milk (read this and this) and how to find it, along with other pastured farm products I never thought I would ever be able to find living in the big city we were living in at the time. I started making her formula from fresh, raw milk. I changed the way I cooked. I changed the way I thought about food. Within a year I was even healthier – I never got sick, my skin glowed, my weight was healthy. I have not stopped learning. My second daughter was born in April 2010 and I continue to learn new things. I hope you will share this journey with me. I am not a doctor. I am not a nutritionist. But I am what I believe every Mama is – born with an innate, Mama bear tenacity to see to it that her babes get what is best for them. It’s all about balance. Dieting extremes are dangerous. The low fat fad has sapped a whole generation of the very substance their growing brains need to be nourished. The low carb trend has robbed a generation of adults balanced hormones, functioning adrenals, and metabolisms that burn. The convenience, packaged, processed revolution that seemed to free up so much of our time has us sick and sluggish – surely not helping us enjoy that extra time. I hope to bring balance to the way you look at food. Traditional, real food – prepared in ways that will nourish your body and allow it to function the way it was designed to. I believe every *body* has different needs at different seasons of life – and everybody’s “balance” isn’t going to look like the next person. Learn with me. Teach me. I love to learn. I know that “my way” of getting the processed food out isn’t the *only* way. I wanted a place where I could finally document all that I have learned about feeding a family real food in a very real world surrounded by processed food. I didn’t just want a place to keep my thoughts straight, or a place to store my recipes, I wanted a place where I could help Mamas (and Daddys!) understand that you can do this. You have to figure out how to make it work for you. Some people will be able to do it all. I’m still not there. Some people will have to pick and choose what fits for your family. But you have to start somewhere. You have to do it for your kids. I, for one, want my girls to know why they put in their bodies what they put in it. I want their little brains to be able to function the way it is supposed to. I know you can do this! Let’s walk through this together! The real food hippie. Renee is married to her superman and mama to her 2 busy bees. she loves soaking up the sun, real butter, and Julia Child. She believes any meal becomes great with butter, onions, garlic, and a glass of wine. her passion is helping people take baby steps to raise a real food generation in this world of highly processed food – one with healed guts, functioning minds, and solid health. She blogs for The Simple Moms. 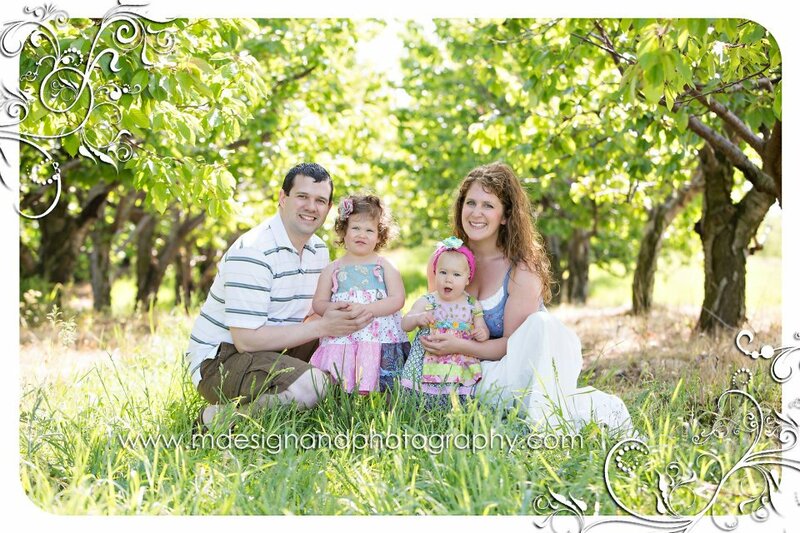 We welcome your testimonials as part of our Nourished Families series! Hi Renee, Thank you for your encouragement! We too are on a journey of converting over to Weston Price principles. I fed my first two children according to what the pediatrician recommended. My oldest has had several issues that were mostly cleared with the help of a chiropractor. My son, at this point, appears to be okay despite a large preference for more processed foods. He does have a good attitude. After 8 years of praying and trying we have another little girl!! I have been more aware of everything going into her little body which is a REALLY good thing. She is very sensitive to many things. If I had been feeding her the standard way she would really be messed up. With learning more about fats and eating well were you able to breastfeed longer with your second daughter? I think GAPS could help with several of my own issues as well as some lingering things for my oldest daughter. I don’t have the courage yet! I did end up able to BF my second born much better than my first. I did until she was 9 months and I would have longer except she wanted NOTHING to do with it anymore…LOL. She is an incredibly busy bee and really wanted to eat with her big sister – she didn’t want the breastmilk even in a sippy anymore and I switched her to raw milk at that point and she did wonderfully. She was eating a wide variety of WAPF recommended solids very well all by herself at that point – both of my girls did! That being said, I did have similar supply issues in the beginning – she would scream of hunger after nursing and never sleep…I supplemented a bottle or 2 per day of WAPF homemade formula and then by 2 months I was making more milk enough to satisfy her. I took the Mother’s Milk supplement and I swear by coconut oil by the spoonful and glass after glass of raw milk for supply – whenever I would miss it, it would go down. I had not heard of GAPS when I was on my healing journey. Although I think what I followed was a form of it. I eliminated common allergens for months and didn’t do gluten for at least a year even more. My biggest “ah-ha” has been the discovery of how much better my gut is when I “eat with the seasons” – so when the cows are making milk in the spring, summer, and early fall I drink milk and drink it raw – in the winter when they don’t make as much I feed it to my girls a little but I take a break from milk for a couple months. I will eat raw cheese more then – which is how our ancestors would have had milk in winter months – they would have used the milk surplus in the summer to make cheese to store up for winter. The beneficial bacteria is helpful to digest too! I eat eggs more in the summer than in the winter. I rotate my grains a bit so I’m not just getting wheat all the time. I can eat just about anything without a tummy ache or outward signs of inside gut issues. Healing is possible – just takes time! When you are ready to do a GAPS type diet – you will know! I love reading Renee’s journey into real food. I hope you check it out.